During these freezing New York temps, the giant husband and I move our morning walks indoors. We enjoy extending breezy, “good mornings” to the tiny, senior parade marching through the mall at dawn’s light. 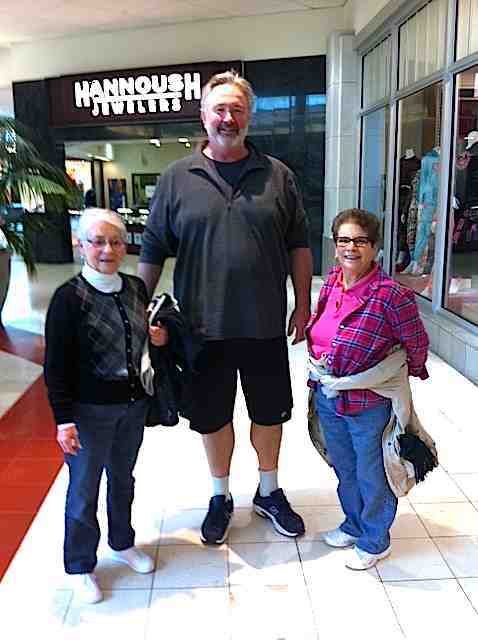 Yes, the giant husband and I follow the senior circuit. 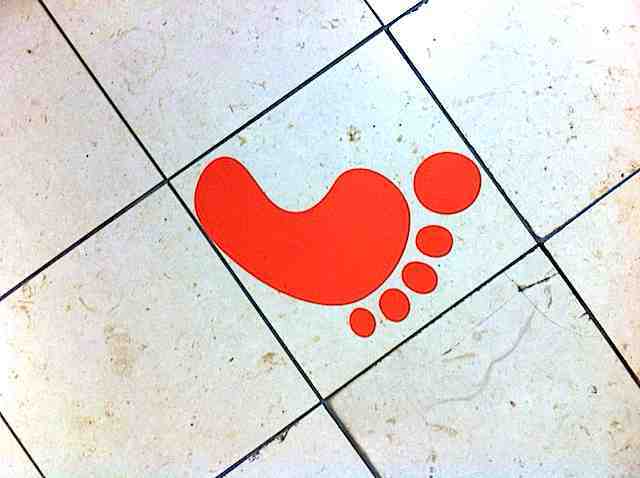 We too, march along the mall’s orange footprint route. Four times around the mall is two miles. During these little trips we’ve learned a few things: Don’t take with your wallet. Elderly folks who walk everyday do so with a smile. The giant husband and I must always walk faster than the tiny senior parade. Some elderly folks can walk really fast. Thank you. May you dream of peaceful walks with friends. Photos taken last week. 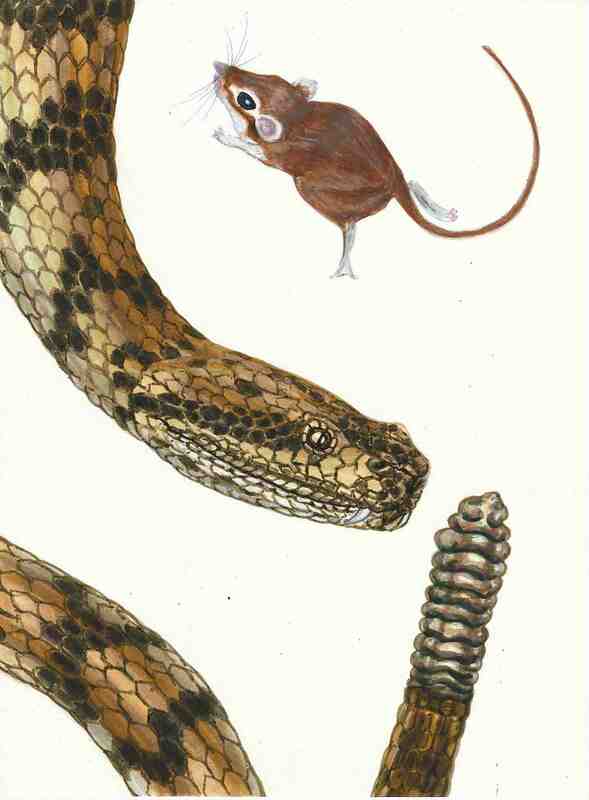 Snake and mouse rendered in marker for a project. This entry was posted in Life in General, My Art & Writing and tagged art, blogging, computers, dreams, friends, health, illustrations, lifestyles, monsters, reptiles, seniors, Super Bowl, winter. Bookmark the permalink. To walk fast, I imagine old ladies behind me with shopping carts on the day the supermarket puts out the first strawberries of the season. Gangway! I don’t know which is more likely to inspire a sprinting nightmare–being chased by a zooming cart or a snake! 😉 You know I think it might just be a tie! Well, they’re certainly cute, those ladies — and Keith looks like he’s enjoying himself, too. But I still don’t know about that dang snake … 🙂 O & D, good! The good Lord knows I need to stay active to keep this old body moving so I try to walk as often as I can. I had one of those “I’ve got to get out of this house” mornings that put me on the MAX train to the zoo yesterday. Unfortunately Mother Nature decided to throw me a curve ball by have a chilly rain falling as soon as I stepped outside. This called for “Plan B”, a detour to the Forestry Center where I got in for free with my “get out of jail” Zoo membership. It was a boring experience to be honest but it did get me out and it did get me exercise climbing all the steps to go between the different floors of the exhibit. I avoided cabin fever and got home just in time to watch the super Bowl. And it was a heck of a game!